The city has tabled the master planning document for the Fort Rouge Yards [Lord Roberts area] Transit-oriented-development. Personally, if the development does anything to bring a wine and cheese store to the area that I can stagger to, I’m all for it. Anyhow— goes before city centre committee on Tuesday, then must be approved by public works, EPC and then council as a whole at subsequent dates. Be interesting to see who’s paying attention, and what issues get raised along its path to likely approval. Not to say it hasn’t been without at least some measure of controversy. It was also the first I had heard of Gem Equities involvement — and I admittedly haven’t been paying too much attention — as a developer for the land they swapped with the city for the rapid transit line. But, as I learned through the Google, the company had already voiced plans to redevelop the land for housing way back in 2008. At least it’s not another suburb on the southern outskirts. [UPDATE] This document contains the Strategic Economic Agreement with the developer, the bylaw amendment proposals and “rules” of the amendments, along with studies about the effect the high-rises will have on the area in terms of vista and shadow creep. Up until a few months ago, I would have thought that the cash problems might have kept this project from going forward. 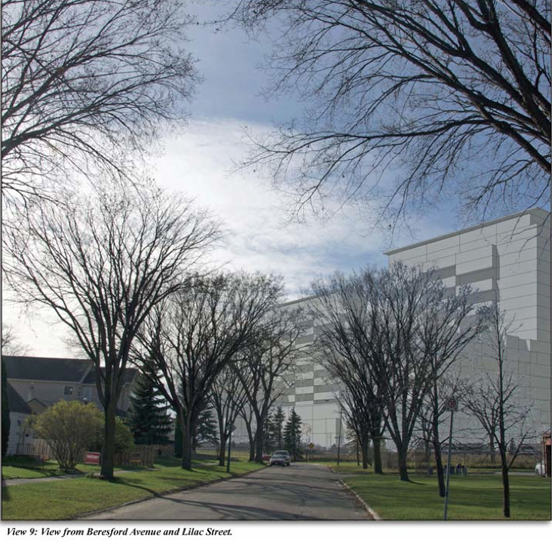 However, B & M sold some buildings to Timbercreek of Toronto for a $100 million. Financing is one of the big reasons that the McPhillips Commons project has sat idle for months according to the Free Press. I’d say the city should get some assurances on the financial side of things as this project goes forward. It looks like it could be an interesting development. However, Lord Roberts residents have spoken out about traffic and some have favoured leaving the land fallow. I have some sympathy for dealing with traffic or other concerns but I have little sympathy for the “No development in my backyard” talk that is happening everywhere you look. In-fill housing on land being left by railways and on high traffic transit lines makes sense and should be encouraged. 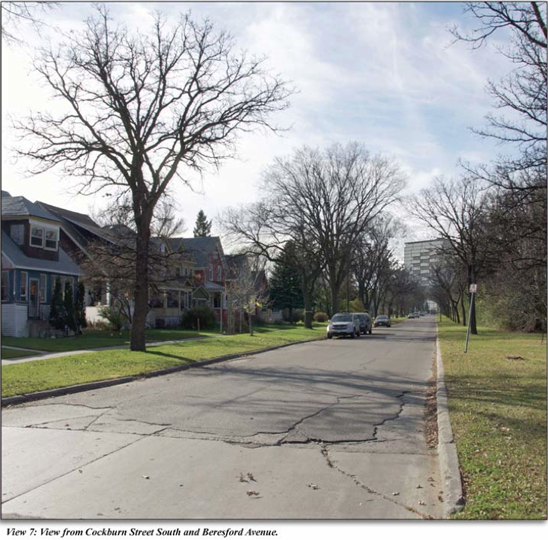 John: people in the area may complain about traffic, but I note from the plan that the idea is to minimize street-level traffic in support of the [let’s hope] BRT/LRT system that will cruise right through the hood. Total common sense that this land should be developed. Just hoping for mor clarity on what the Strategic Economic Agreement is, and whether extensive remediation/environmental concerns will rule the day. Hell, given the right conditions [wine store and pets allowed], I’d strongly consider moving in. But: I hear the term ‘lo-rises’ and it gets my back up. For various reasons. “Four levels of civic oversight: ? all other aspects of 21st century city planning. BUT NOT INCLUDING ANY SUBSTANTIVE CONSULTATION WITH CITIZENS LIVING IN THE AREA! N.B. The Pics from the actual area are all with early morning lighting! when the buildings would naturally look far less ominous! 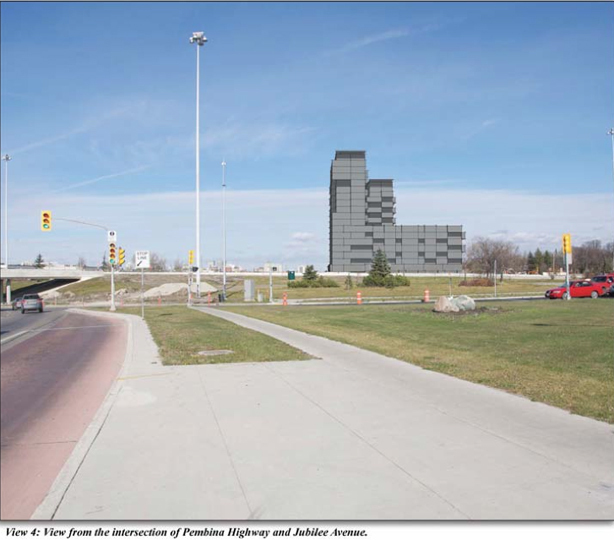 The Pics from Stafford give the REAL impression of how large and LOOMING the biuldings would be…AND they are at considerable distance with Pembina, considerable land mass and the railway between. Not to mention they look like they are made from som kids LEGO set! THIS is Wpg. 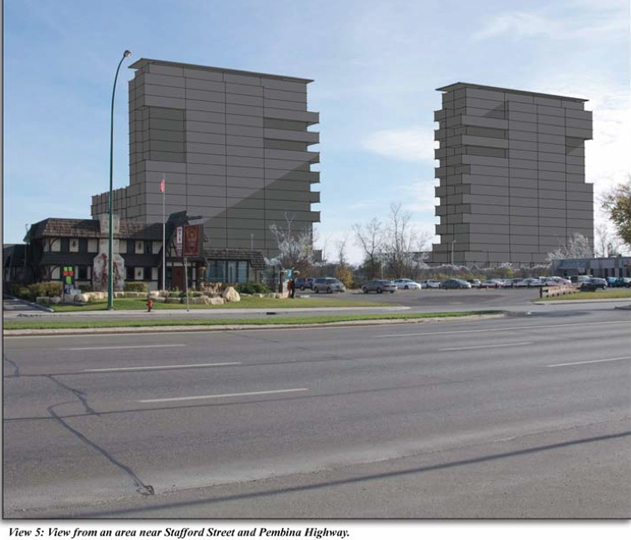 City Hall’s V I S I O N of the future with oodles of surface parking…Winnipeg’s other concept of the 21st century ! The most DENSE aspect of this project is the middle 20th century (1950s) repetition of the mistakes made in other cities! You elect these people! Don’t blame me! We’re about to find out if the City really means what it says about encouraging higher-density infill development.